US Ambassador to Israel David Friedman told a packed house at the opening of the 6th Global Forum on Combating Antisemitism that a “new” antisemitism, characterized by “the irrational, deceitful, and insidious vilification of Israel and its supporters under the guise of political commentary” worries him far more than the “old” antisemitism. Friedman also asserted that this new antisemitism is acceptable in polite society in a way the old antisemitism is not. Attorney and commentator Alan Dershowitz tore into actress and liberal activist Cynthia Nixon on Twitter as an anti-Israel bigot, before and after she officially launched her bid for the Democratic gubernatorial nomination in New York. According to The Times of Israel, she signed a letter in 2010 supporting Israeli artists who pledged not to perform in the Israeli West Bank settlement of Ariel. A story which has always portrayed Israel’s commitment to its citizens and Jews throughout the world, and had a profound impact on my decision to enlist in the IDF, has been completely tarnished by writer Gregory Burke in his new film 7 Days in Entebbe. Throughout the film, the PLO terrorists are humanized and shown as moral figures who are simply pursuing the cause of independence from a “Zionist, tyrannical regime.” While barely addressing the decision-making processes of the Israeli government or the military planning of the operation, the producers of this film have successfully revised one of the most prominent military rescues of modern history. Orchestrated by Yonatan Netanyahu, the operation set out to send a message to the terrorist PLO and the international community that the Jewish nation will no longer be subjected to senseless violence, discrimination and hate. No matter where in the world they are, we will always be there to bring them home. However, 7 Days in Entebbe has chosen to revise the narrative of this remarkable moment in both Jewish and military history. The movie went so far as to suggest that the Palestinian “freedom fighters” were able to empathize with the experiences of the hostages and claimed to be a nonviolent branch of the Palestinian resistance movement. 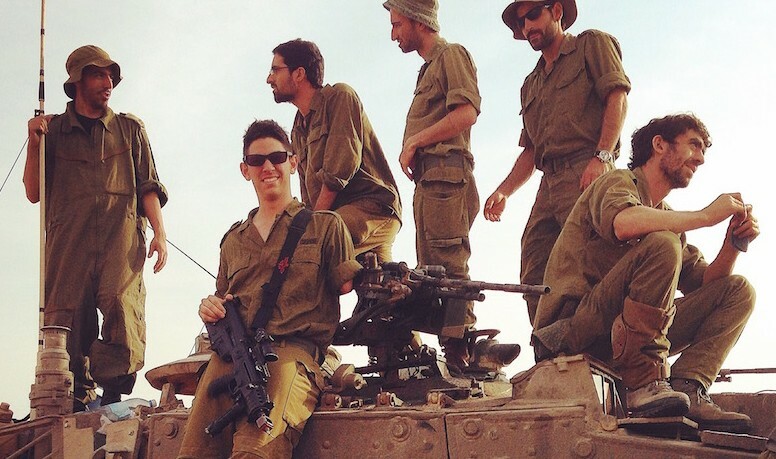 From distorted portrayals of IDF soldiers to altering facts to turn “Zionism” into a derogatory term, this horrific film represents the zenith of Israel demonization. The film not only defames Israel by humanizing the tactics of the 1976 PLO, but depicts both Shimon Peres and Yitzhak Rabin, two historical peace-makers in modern international relations, as power hungry figures unconcerned with the well-being of the Jewish hostages. From the exaggerated and erroneous accounts of IDF tanks rolling over Palestinian civilians to the inaccurate illustration of how the hostages at Entebbe were treated by the terrorists, the film is intended to convert one of the proudest moments in Israeli history into a promotion of Palestinian “resistance,” meaning terrorism. The film’s focus on the terrorists and not the valiance of both the Israeli soldiers and decision-makers was remarkably disappointing. This film is a disgrace, an affront to all Israelis and a transparent attempt to elevate the Palestinian cause high enough to pardon the hijacking of a commercial airliner. Netanyahu has been proved wrong. Anshel Pfeffer’s Bibi: The Turbulent Life and Times of Benjamin Netanyahu dispassionately chronicles the many successes and failures that have so far characterized the personal and political life of Israel’s charismatic yet divisive leader. Readers who are rooting either for or against Netanyahu will find that Pfeffer’s reporting quenches their thirst for the complete picture of his rise to power. The most critical—though still not cartoonish—elements of the book appear in the text’s prologue and epilogue. It is as if Pfeffer set out to write one narrative but was ultimately steered in a different direction by the fruits of his own research. In fact, Pfeffer’s account is more than balanced; there are moments in the book when his admiration for Israel’s leader emanates through his hard-hitting analysis. Pfeffer insists that a modern observer cannot understand Israel without understanding the man currently at its helm. The country, he writes, “is a hybrid society of ancient phobias and high-tech hope, a combination of tribalism and globalism—just like Netanyahu himself.” He explores these bifurcations in the chapters that follow. Indeed, Pfeffer’s work is as much a history of Israel as it is of Netanyahu. About the early Zionist enterprise, he asks: “Was its sole objective to build a state that would serve as a haven for Jews who would choose to live there? Or did the Zionist movement and the Jewish state have a wider responsibility for all Jews in peril?” Foundational questions of this sort foreshadowed many of the domestic debates still riling the State of Israel, 70 years later. Partnerships with organizations that have alleged ties to terror groups and that promote BDS (boycott, divestment, and sanctions) campaigns against Israel. Self-admitted lack of expertise in international law. Moral failures, as shown in labeling a virulent antisemite as a “human rights defender” in his March 2017 report to the UN Human Rights Council. In addition to his long history of involvement in overtly anti-Israel events, since becoming Special Rapporteur, Lynk has spoken at eight events with BDS activists and highly political organizations and NGOs that are part of the campaign to delegitimize Israel. It appears that Lynk has only affiliated himself with groups that promote an entirely biased Palestinian narrative of the conflict. NGO Monitor research found no instances of Lynk participating in events that present alternative views. Lynk’s writings consistently dismiss Israel’s security concerns, such as the claim that terror groups Hamas and Hezbollah pose “no real threat to Israel.” He further refers to a member of the Popular Front for the Liberation of Palestine (PFLP) terrorist organization as a talented writer and poet. A key component in the campaign to delegitimize Israel is to minimize and even erase the context of terrorism. In response to her criticizing the apparent use of antisemitic tropes by a UN official, NGO Monitor Legal Advisor Anne Herzberg was called to order for violating the “sense of respect” during the 37th session of the UN Human Rights Council in Geneva. Herzberg was addressing language in a report by “UN Special Rapporteur on the situation of human rights in the Palestinian Territory occupied since 1967” Michael Lynk, which characterized Israel as greedy. Lynk referred to Israel and its role in the Arab-Israeli conflict as “avaricious,” “rapacious,” and “pathological” – unprecedented language that is well beyond standard UN condemnations of Israel. “State of Palestine” also interrupted the NGO statements to object to our statement. NGO Monitor will be filing a formal complaint against Lynk for the exceptional language in his report. In addition to an oral statement before the Council, NGO Monitor published a report describing how Lynk is unqualified for his position as Special Rapporteur. Lynk has a history of working with terror-linked and virulently anti-Israel non-governmental organizations (NGOs) in violation of his mandate. The Canadian labor law professor also admitted that he lacks experience in international law, and his 2016 appointment was protested by the Canadian government. A March 2017 report by Lynk promoted Manal Tamimi as a “human rights defender” – an activist who repeatedly utilizes violent and virulently antisemitic rhetoric and imagery on social media. NGO Monitor’s complaint was instrumental in forcing the UN Office of the High Commissioner for Human Rights to remove the reference to Tamimi and issue a revised version of Lynk’s report. So that was Gates writing about Farrakhan in the New York Times in 1992. What we do know is that the open letter that Ellison wrote condemning Farrakhan, which he often brings up in his defense, was written in 2006, which is when he was running for Congress. This is pretty rich. Ellison is the one who defended Farrakhan at a time when his anti-Semitism was well known, and worked with his organization after it engaged in an effort to split the black and Jewish communities by peddling shoddy history charging disproportionate Jewish involvement in the slave trade. And he recanted only when it became important for his national political ambitions. Now he’s mendaciously accusing others of trying to divide us. No amount of photo ops with liberal rabbis should distract us from recognizing Ellison’s true record. DNC Deputy Chair Keith Ellison Denies Farrakhan Associations, Tries To Blame Trump Supporters. He’s Lying. Over the last few weeks, some political opponents have been pushing the narrative that I am somehow connected to a man named Louis Farrakhan. It’s not true. Mr. Farrakhan leads a group called the Nation of Islam and is best known for organizing the 1995 Million Man March. He’s also well-known for his anti-Semitism. A CNN KFile review of Ellison’s past writings and public statements during the late 1980s through the 1990s reveal his decade-long involvement in the Nation of Islam and his repeated defense of Farrakhan and other radical black leaders against accusations of anti-Semitism in columns and statements to the press. He defended Kwame Ture (Stokely Carmichael) in 1990 after Ture made a speech stating “Zionism must be destroyed.” In 1995, he helped organize an event at which he spoke before Khalid Abdul Muhammed, an anti-Semite so rabid that he was kicked out of the Nation of Islam by Farrakhan. That same year, Ellison wrote, “Minister Farrakhan is a role model for black youth. He is not an anti-Semite.” He repeated that claim in 1997. Ellison, the Democratic National Committee deputy chair, penned in his Medium op-ed that he worked with the Nation of Islam in 1995 to organize the Million Man March in Minnesota, but that he soon distanced himself from Farrakhan because his “disparaging views on Jewish people, women and the LGBT community,” became clearer to him. He then downplayed a report about a private event that he attended in 2013 with Farrakhan and Iranian President Hassan Rouhani. Ellison’s account contradicts what Farrakhan claimed during a December 2016 interview, where he said Ellison met him in his hotel suite as recently as the summer of 2016 in Washington, D.C. with Rep. André Carson (D., Ind.). Ellison said he has previously viewed questions about Farrakhan to be unworthy of comment. Washington, DC, lawmaker Trayon White (D-Ward 8) is publicly blaming the Jews for creating the kind of weather conditions that will allow them to “own the cities”; thus, we can again see that anti-Semitism is a serious problem within the Democrat Party — that this hatred is tolerated, most especially, by a national media that do everything in their power to protect their allies on the political left. Therefore, this seems like a good time to look at all the elected Democrats associated with Nation of Islam leader Louis Farrakhan, a rabid and open anti-Semite. On Monday, newly-released footage showed that D.C. Democrat Council member Trayon White Sr. (Ward 8) has a history of believing in anti-Semitic conspiracy theories which comes just as he tries to repair his image after claiming that Jewish bankers control the weather as part of a plot to take over cities. During a February 27, 2018 meeting with top city officials, White claimed that the Rothschilds control the world bank and the U.S. federal government. Note how he is trying to expand the list of potential donors to those who are not Jew haters. He even has the chutzpah to ask “peace loving human being who cares about freedom and ethics”, as if any such person would share his vile, antisemitic views. So far, antisemites like Veterans Today and Arthur Topham are trying to help him raise funds. Says it all really. While The Crown Persecution Service (CPS) attests that there has been no increase in anti-Semitism in Britain, in the following Sky News interview, Jewish ethnic activist Gideon Falter, insists that Jew hatred is on the rise. We are asked to choose between two versions of the truth, that delivered by Falter who leads the Campaign Against Antisemitsm (CAA) and basically makes his living manufacturing antisemitic incidents and the judicial approach of the CPS: a public body, subject to scrutiny and committed to impartiality. This is hardly a difficult choice. A Spanish judge granted an anti-Israel group’s motion to initiate a trial for alleged incitement to hatred and intimidation against the leader of a group that fights boycotts of the Jewish state. The Committee for Solidarity with the Arab Cause, which receives funding from several municipalities in Spain, filed the criminal lawsuit against Angel Mas of the ACOM group last month, he told JTA. A judge examined the 70-page lawsuit against Mas and ACOM and concluded it merited further judicial review, Mas said. The lawsuit against Mas and ACOM is the first time that pro-Israel entities are being taken to court in Spain for their activities and marks a departure from the strategy of the local Boycott, Divestment and Sanctions movement against Israel, or BDS. Mas added he was “surprised and disappointed” at the judge’s decision to review what he called “a frivolous attempt to abuse the Spanish judiciary with propaganda.” But he also added that he was confident that he would be found not guilty in any trial. Last week, Brown’s Middle East Studies program held a “critical conversation” on the Israeli-Palestinian conflict and promoted a newly-published collection of essays supporting the boycott of Israeli universities. What makes academic boycotts so pernicious is that they establish one standard of pedagogy for teaching Israel, and another standard for teaching all other countries. Those who would join the boycott indulge in a rather dangerous solipsism, where the task of education is sacrificed for the moral gratification of the educator. There are those who would say that the circumstances justify the selective treatment, but that’s an argument about politics, not pedagogy. Academic boycotts philosophically undermine a liberal education and deprive students of the opportunity to consider all views equally and decide which they prefer. Four of nine “critical conversations” hosted by the Middle East Studies program have been about Israel. At one of the conversations, a student expressed concern that the panel was so lopsided. The director of the program replied that because his approach to the conflict is perhaps the academic consensus, he did not feel obliged to include views that diverged from it. When an entire program routinely puts on activities with people who advocate boycotts of Israel – and almost never sees fit to present a contrary view – the pro-boycott position effectively ossifies into an unofficial policy. And that’s when “critical conversations” become critical only in the sense that they criticize Israel. It is a misleading impression that the many anti-Semitic statements of elected or appointed Labour representatives started after Jeremy Corbyn became the party’s leader in September 2015. Even superficial investigations show that various extreme slurs against Jews and Israel were already made years beforehand. The same was the case under Corbyn’s Jewish predecessor Ed Miliband. He led Labour from 2010 to 2015. This false idea can easily be understood when looking at Corbyn’s past. In 2009 he invited representatives of the Muslim terrorist organizations Hamas and Hezbollah to the House of Commons and called them “my friends.” Corbyn regularly participated in gatherings of a charity led by Holocaust denier Paul Eisen and also gave it money. Yet, if one analyzes Corbyn’s statements on Israel and the Jews, none meet the terms of International Holocaust Remembrance Association’s definition of anti-Semitism. This definition has been accepted by the British government for domestic use. One might, however, consider Corbyn a legitimizer of anti-Semitism. Inspired by an Oscar-nominated American film, activists against anti-Semitism in Britain raised thousands of dollars for erecting three billboards outside the headquarters of the Labour Party. Days after setting up an appeal for donations on an online crowd-funding platform, the Community United against Labour Party Antisemitism, or Culpa, group raised $4,860 out of their goal of $6,300 for the sign campaign outside Labour’s headquarters on London’s Victoria Street. The money came from approximately 100 donors. Labour under Jeremy Corbyn, the left-wing politician who was elected to lead the party in 2015, has faced criticism over an alleged failure to counter a proliferation of anti-Semitic rhetoric in the party’s ranks. The idea for the three billboards came from “Three Billboards Outside Ebbing, Missouri.” In this tragicomedy, which was nominated for Best Film at the Academy Awards, a mother whose daughter was murdered puts up three billboards, each one displaying one short sentence accusing the local sheriff of inaction. Her introduction of personal accountability deeply impacts her small town’s social fabric. New shocking incidents of antisemitism in the UK’s Labour party have been brought to light by Jewish former councillors in north London, a report in the Sunday Times revealed over the weekend. The Labour officials reported a series of racist comments directed at them by members of Momentum, the Labour movement that supports party leader Jeremy Corbyn. “It has become impossible to operate as a Jewish councillor,” one official lamented. Since Corbyn became leader, the Labour party has been beset with antisemitism scandals. Corbyn is ferociously anti-Israel and considered a far-Left ideologue, which enchants his followers and disturbs his detractors. The Sunday Times report contained statements by Jewish councillors Joe Goldberg and Natan Doron, who said they had been the object of shocking and often embarrassingly vulgar antisemitic statements by the Momentum-affiliated councillors. Prominent members of Her Majesty’s Opposition are calling for the government to disregard a longstanding partial economic embargo against the Islamic Republic of Iran, as they perceive a need to obtain a Persian rug large enough to cover a growing antisemitism scandal in the Labour Party’s ranks. Opposition leader Jeremy Corbyn called on the government to stop adhering to the sanctions regimen, both because of the urgent need for a rug under which to sweep the party’s rampant antisemitism and because he views Iran as a force for good in the Middle East and in global affairs. A third version of the report has since appeared in which the consulate employee was named and further details of the story provided. As regular readers know, the BBC has in the past ignored attempts to smuggle goods into the Gaza Strip for the purpose of terrorism as well as numerous stories related to efforts to build up the Hamas terror infrastructure outside Gaza. How unfortunate then that when the BBC did finally produce a report on that issue, it passed up on basic fact checking. How unfortunate too that those who read the initial version of this article have once again not been informed that they were given inaccurate information. Contrary to the National Post’s headline published in its March 17 print edition: “Palestinian driver kills two Israeli soldiers,” this incident was no mere car accident. In fact, a Palestinian terrorist named Ala Kabha intentionally rammed his car at four Israeli soldiers guarding a military outpost. Two soldiers (Captain Ziv Daus and Sergeant Netanel Kahalani) were brutally murdered in cold blood, while two other soldiers were wounded and are recovering. This Palestinian terrorist who is now being treated at an Israeli hospital, was previously incarcerated by Israeli authorities for security-related offences. Israel says the responsibility for this attack lies with the Palestinian Authority for its incitement to violence and efforts to reward Palestinians for committing terror. The related opinion piece describes how despite Netanyahu’s spellbinding “performance” at AIPAC, the “King Bibi” status quo is changing. Between numerous indictment probes, a struggling coalition and an increasingly fissured Israeli public, it is not clear what the future will hold for Netanyahu. Nazi criminal Adolf Eichmann’s Jerusalem trial was a prominent cover story in 1961. In 1982, the cover featured “The Olympic Tragedy” that was the Munich Olympic massacre, along with a picture of IDF soldiers lifting a casket with an Israeli flag into a grave. The magazine also featured former prime minister Ariel Sharon three times throughout his life: in 1983 following the Sabra and Shatila massacre, in 1985 when he sued Time magazine for libel and for the final time when he fell ill in 2006. This is where it gets to be completely bewildering. In fact, from a personal stand point, this is what drew me in to trying to understand these people. It is on Israel that they diverge completely from the vast majority of good people in the US who supported Donald Trump, may well be American patriots and nationalists but have no part in racist nationalism. This group of people, far far larger than the tiny Alt-Right, I can identify with and understand. They were the ones falsely maligned and slandered by the media trying to put all Trump supporters into an Alt-Right, white supremacist box. In another paradox, they deeply admire us in Israel for establishing what they consider to be the “ethno-nationalist state” they so want to live in. They don’t really understand our 20% Arab minority (and that minority’s Islamic majority) or the ethnic diversity within Judaism. And the Alt-Right seems to stick to learning about Israel from either mainstream left and far-left sources like Ha’aretz and the New York Times or (even worse) outright Jew and Israel hating sites like Monodweiss, Electronic Intifada and individuals like Peter Beinart. If you ask them whether they believe the New York Times reports accurately on White nationalism or subjects they care about, they’ll tell you of course not. Then they’ll show you an article about Israel copied from Ha’aretz by the New York Times and scream at you that it is gospel truth. Back to Nathan Cofnas’s refutation of the Culture of Critique, we come to an analysis of Jewish influence on top intellectuals. What ever you want to say about this disproportionate representation of Jews in an arbitrary list of top intellectuals, blind, lockstep support for Israel and fervent Zionism certainly isn’t a common theme. So what Jewish interests are this diverse group of Jews pushing? Justice Minister Ayelet Shaked was set to host a special panel of European ministers on Tuesday to discuss online incitement at an international forum on anti-Semitism in Jerusalem. The panel members, among them the justice ministers of Greece, Italy, Malta, Moldova and Slovakia, were poised to take the unprecedented step of signing a joint statement against online incitement. The statement includes guidelines for grappling with the troubling phenomenon and an acknowledgment that the internet, and social media in particular, has aided radical elements in the dissemination of hate speech and incitement to violence and terror. It points out that such offensive content constitutes a criminal offense, and that governments and individual internet users have a shared interest in making the internet a safe space and preventing its use to spread hate. By signing the statement, the justice ministers agree to work together to limit the dissemination of hate speech and incitement to violence and terrorism online. The statement also calls on internet giants to take immediate steps to combat the phenomenon, including removing such content from their servers and adopting clear methods for identifying online incitement. “I am considering getting entirely away from the Holocaust,” Wyman had written to me a year before publishing Abandonment. It has involved too many years of depressing findings. Furthermore, the nasty fighting among ‘scholars,’ and others over the political implications of the findings is beginning to disgust me.” The challenges soon began to include preposterous assertions that the West—and the Roosevelt administration—did all they could for the Jews of Europe. But surely, the most challenging question to Wyman was whether a failure of leadership was not primarily a failure of those being led. “In theory, yes,” Wyman agreed. Indeed, he had concluded his earlier Paper Walls with a stinging judgment: the ungenerous American refugee policy then had been “essentially what the American people wanted.” In covering the years of the Holocaust, however, Abandonment stressed the failure of leadership. Wyman underscored the wartime polls that indicated that while more than one third of the American population was at least sympathetic to the notion of some sort of a domestic anti-Jewish campaign—and another third, typically, had ostensibly no opinion—the final third was ready to openly express its readiness to help the Jews if they were to become the objects of such an American campaign. Long, who flew especially from Los Angeles to Israel, was very excited: a Yemenite folklore group from Kiryat Ekron who came to the event in Be’er Sheva dressed him in traditional Yemenite dress and led him by playing drums and dancing to the hall next to the synagogue. Many people, already adults in their eighties, got to their feet and gave him lengthy applause. “I was a little girl when I came to Israel, but I will not forget the flight. We came in 1949, we arrived in Be’er Sheva in 1950 and we grew up and raised a family. Today I came to say thank you to this dear man, “says Rachel, who is not ashamed to reveal her age. The classic rock band America will perform for the first time in Israel on October 8, at the Caesarea amphitheater. Band members Gerry Beckley and Dewey Bunnell are keeping their promise from 2014, when they initially planned a summer concert in Israel, but canceled due to the conflict in Gaza. They said then that they would reschedule their performance. Promoter Shuki Weiss began selling tickets on Tuesday, giving priority to those who bought tickets for the concert four years ago. Tickets for the general public go on sale Wednesday. The original band was made up of Bunnell, Beckley, and Dan Peek, three teenagers who were the sons of American army officers based in London at the time. Dr. Miriam and Sheldon Adelson announced an additional $13 million gift on March 18 to support the Israeli American Council at its 10th annual Los Angeles gala. South African-born Canadian American billionaire entrepreneur Elon Musk, the CEO of electric-car maker Tesla, has posted pictures of himself in Israel on Instagram. “Paid respects to Masada earlier today. Live free or die,” Musk, 46, posted eight hours ago, accompanied by a picture of himself standing in front of a hilly and sunny desert background. The post got more than 499,000 likes and a flurry of 5,800 comments. Musk also posted a video of the Jerusalem Machane Yehuda market, also eight hours ago, saying: “Last night in Jerusalem and the best menu ever.” The post got 184,000 likes and more than 2,000 comments. On Monday night, Musk posted a picture of himself pouring flaming absinthe in a Jerusalem bar. “Learning how to pour flaming absinthe over a tower of glasses in a Jerusalem speakeasy. Everything’s better with fire…..” he said. A person familiar with the matter told The Times of Israel that Musk was in Israel to meet with Cortica, a maker of artificial intelligence technology for use in autonomous cars. The two discussed Israel’s natural energy uses, and Musk suggested that all of Israel’s energy needs may be derived from the Negev, and that the desert represents the future of Israel’s energy sector. Solar energy, which is “clean” in that it does not have a harmful impact on the environment, represents only 13% of Israel’s energy expenditure. Musk suggested that Israel could reinvigorate their energy sector “only if they want it” and Netanyahu reassured the crowd that he hopes to see positive changes and adaptation’s to the country’s energy programs. American-born IDF soldier Izzy Ezagui lost his dominant arm in a direct mortar hit during Operation Cast Lead in January 2009. Six months later, Ezagui took himself off heavy painkillers for phantom limb pain, got back into shape, and convinced the IDF to allow him to reenlist in a combat unit. With determination and ingenuity, he passed all the required tests, including shooting, reloading guns, unjamming rifles, throwing grenades, charging hills, climbing ropes, and doing pushups. He continued on to commanders’ school and completed his military service with high distinction. Now Ezagui, 29, has penned a new memoir charting his journey. Titled, “Disarmed: Unconventional Lessons from the World’s Only One-Armed Special Forces Sharpshooter,” it is a candid glimpse inside Ezagui’s mind as he deals with his devastating injury. Just as the author’s physical, mental and spiritual recoveries are non-linear, so too is the memoir’s narrative. It constantly zigzags back and forth in time and place — not just during Ezagui’s military service, but also throughout his entire life. This choppy chronology and Ezagui’s stream-of-consciousness writing style will not suit some readers. Nonetheless, his honesty and humor shine through. Ezagui has worked for the last six years as a motivational speaker and unofficial goodwill ambassador for Israel. He’s helped to raise millions of dollars for hospitals, rehabilitation programs, and other charities, and partnered with amputee organizations, schools, universities, and major corporations.